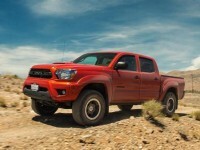 Looking for all the 2016 Toyota Tacoma specs and driving impressions? We will have full coverage for you on Monday, August 17 after the embargo ends. 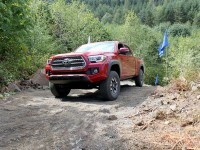 In the meantime, enjoy this video the new Tacoma showing off the Crawl Control feature! 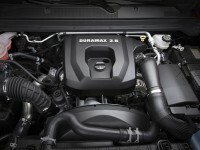 Chevy Colorado’s Duramax Diesel Specs Unveiled – Tacoma Diesel Possible? 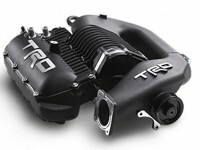 Toyota has recently announced it is ending its TRD Supercharger program. 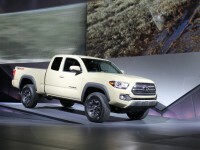 This means, Tacoma fans will have to look elsewhere to boost engine performance. Over the past 30 years, trucks have generally grown in size, scale and have been filled with all sorts of new powertrain and technology upgrades. 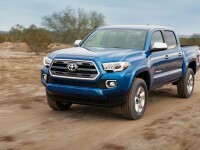 However, when you break down the 2016 Toyota Tacoma to a 1986 Toyota Pickup, the similarities are striking. Our friends over at Speedhunters recently took a 2015 Toyota Tacoma TRD PRO out for a spin on the Mint 400 race track. Not only did the Tacoma keep up with the race leader in a fully modified Baja race truck, it surprised the Speedhunters. 2016 Toyota Tacoma TRD PRO DEAD – Or Is It? 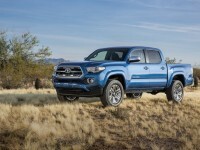 Earlier this week, the all-new 2016 Toyota Tacoma was unveiled at the 2015 North American International Auto Show in Detroit, MI. While it doesn’t hit all the marks Toyota fans were clamoring for, it hits many of them. 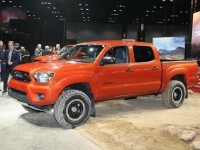 Another year in the books and another year of Toyota’s Tacoma dominating the mid-size truck market. With a new Tacoma set to debut next week, little looks to be changing.